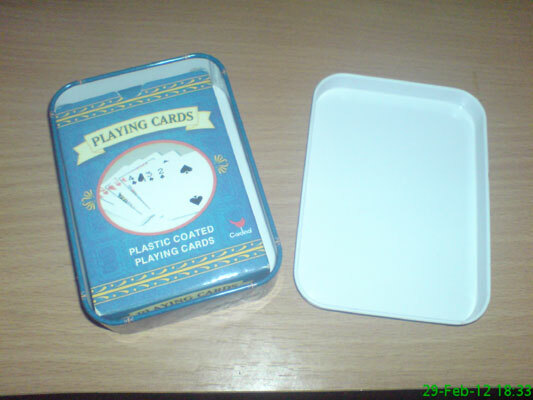 It wasn't a particularly interesting leap year day - here's a pack of cards. Progress, but the pessimist in me refuses to get excited until we've got the keys. 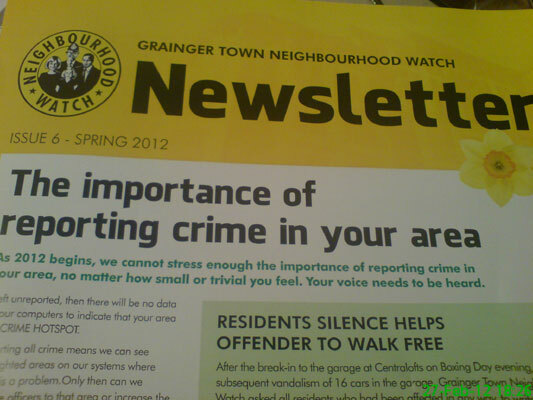 This is possibly my last chance to get in on the Neighbourhood Watch action. 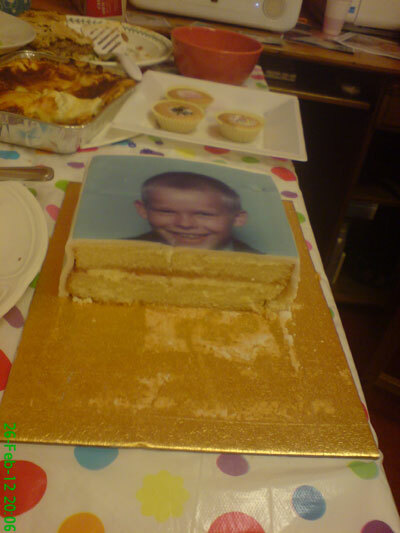 Paul's cake for his 40th birthday celebrations. 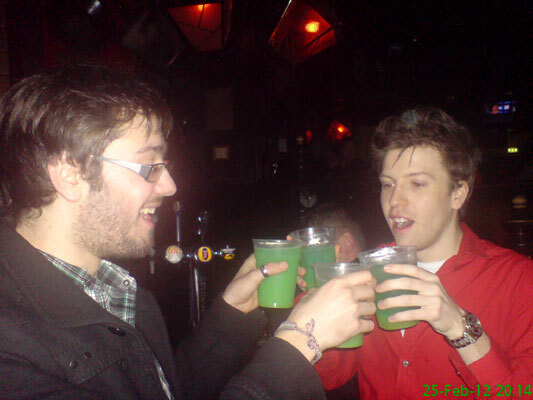 Pints of Skittles in Gotham Town are an excellent idea. Usually. 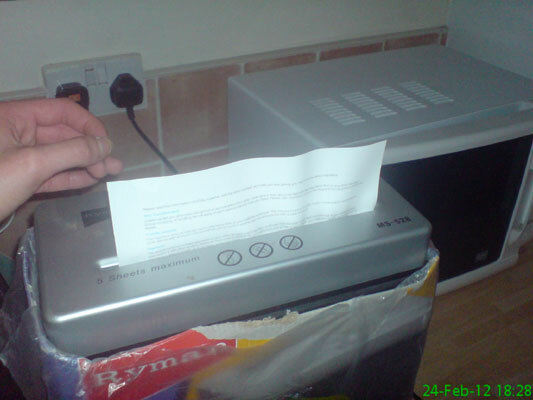 Shredding a junk letter from Barclaycard. 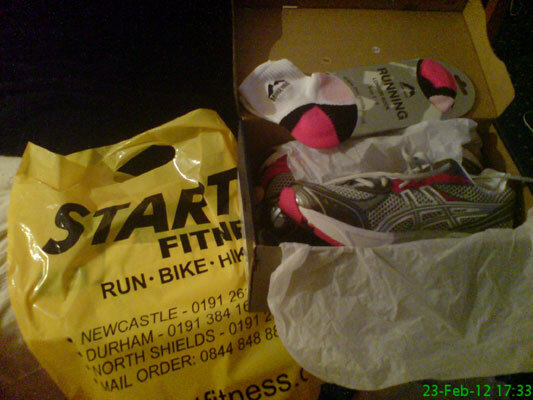 I bought some new running shoes from Start Fitness in Newcastle. The colour scheme isn't particularly to my taste but I did get some free socks. 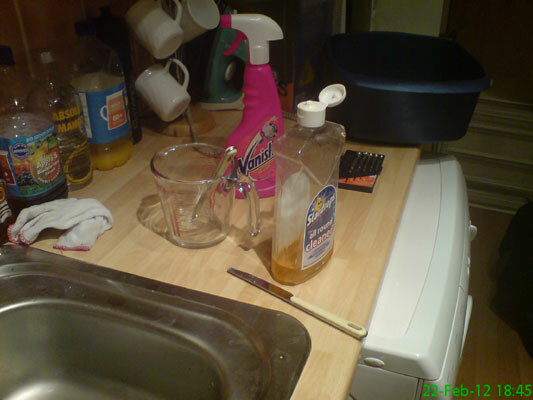 22 February 2012: Cleaning - Again! 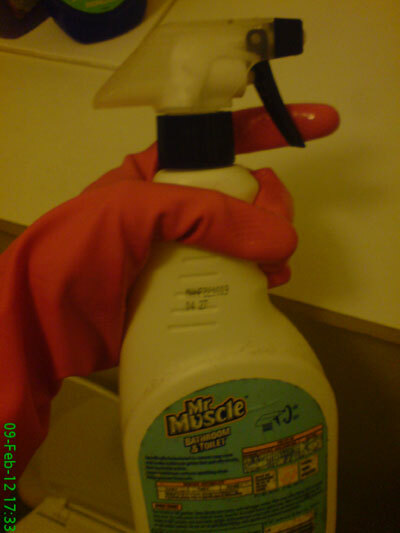 I came home from work via the gym and Tesco to find Michael and his mam on a cleaning frenzy in our flat.. oh god. 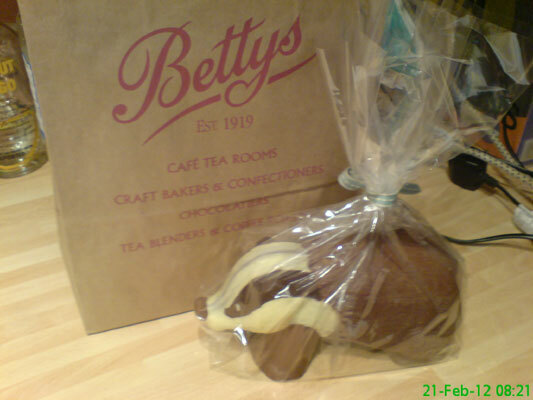 Michael was in York at the weekend for his brother Paul's 40th birthday and brought me back this chocolate badger from Bettys. 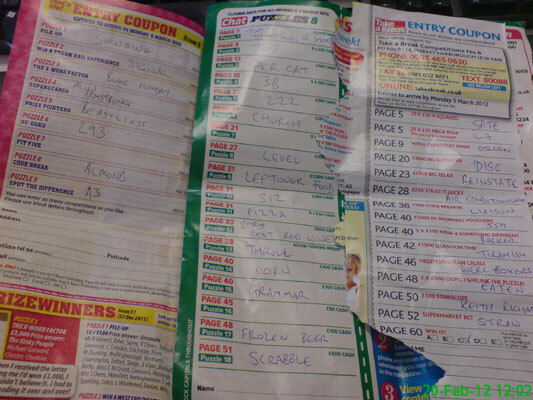 With the internet not working over the weekend I became quite productive and got through several magazines full of competitions. Time to enter! 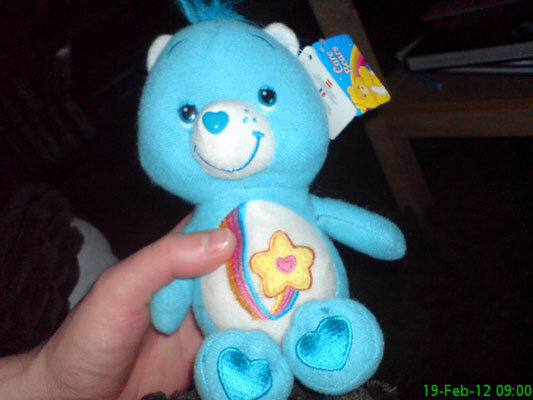 I stayed over at Ali & Stu's and woke up next to this Care Bear. 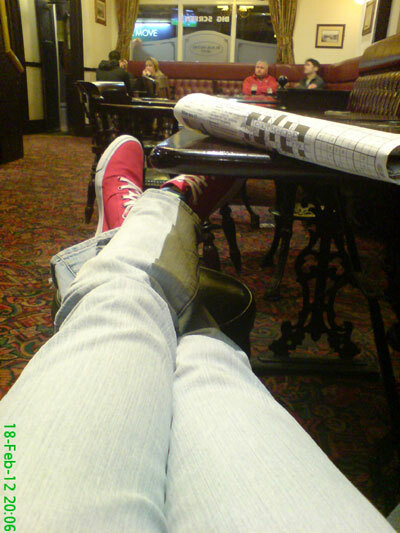 The Blacksmith's Arms in Gosforth is my sort of pub - the kind where you can sit with your feet up, sip a pint and leaf through a newspaper. I'd make a great old man. 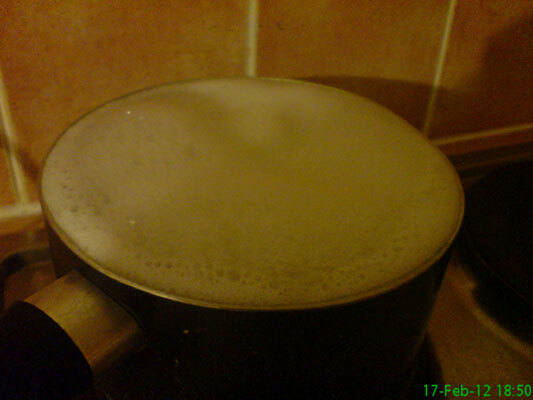 A large pot of boiling pasta is an extremely welcome sight after a hard workout at the gym. 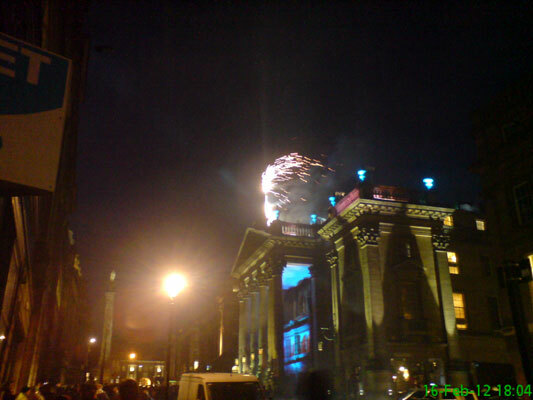 Celebrations at the Theatre Royal to mark its 175th birthday. 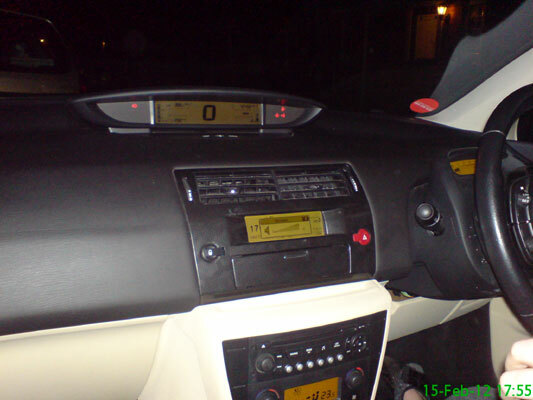 The dashboard of Ali and Stu's new car. Don't ask me what kind of car - they all look the same to me. 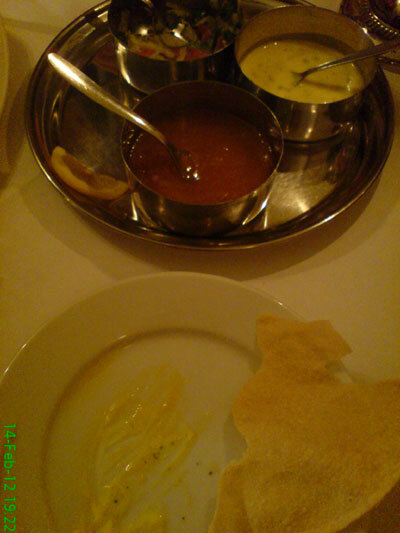 I'm not much of a romantic but Valentines Day is an excellent excuse for a curry. 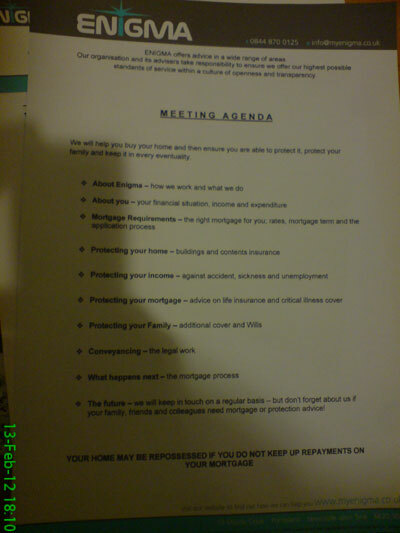 We had a visit from a mortgage advisor to discuss possible options. Couldn't be bothered to cook a Sunday dinner so instead we paid a visit to Fluid for one of their Giant Yorkshire Puddings. 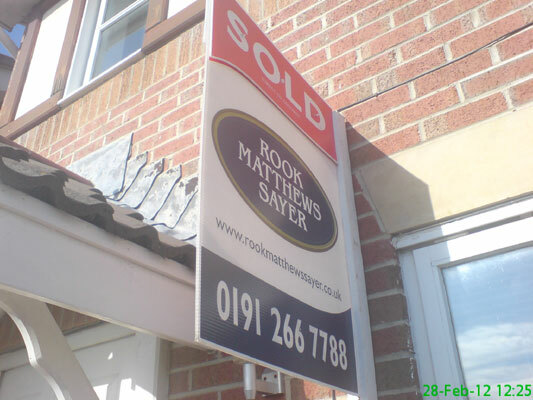 It was a wasted trip to Palmersville/Forest Hall as the house viewing we had lined up fell through. 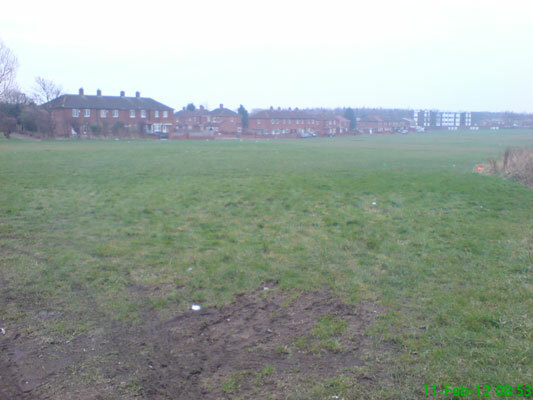 Instead, we had a walk about this field. 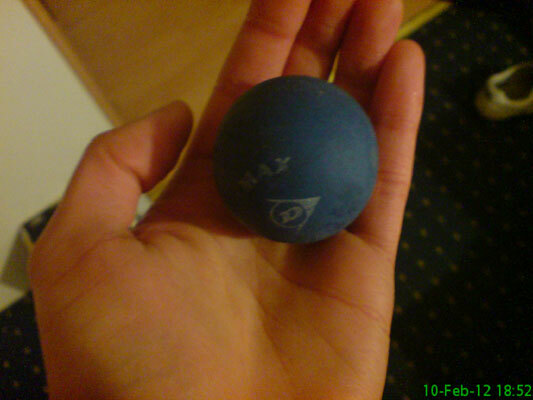 We found what appears to be a squash ball while tidying the flat. It suggests that we should probably tidy up more often, because we've lived there 3 years and never played squash. Not exactly my number one pastime for a Thursday evening. 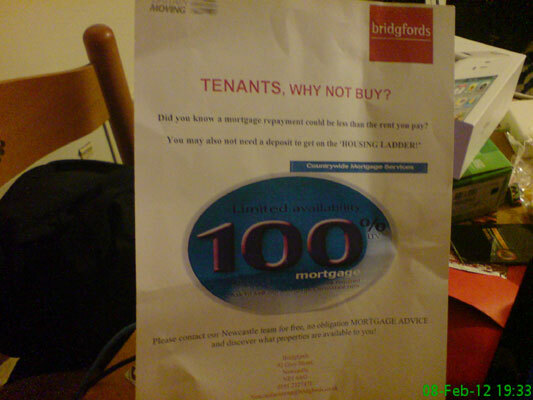 8 February 2012: Why Not Buy? 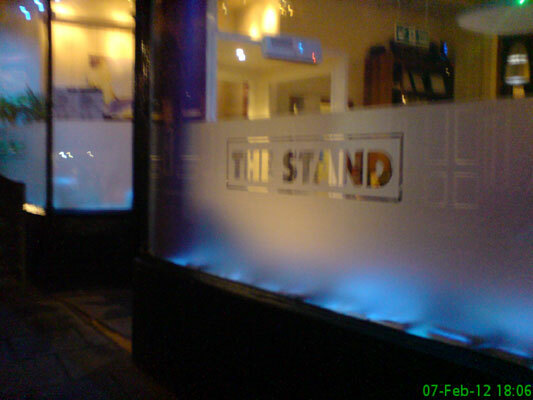 The comedy club which opened a few months ago. I've not been yet, but they've had some pretty decent offers on so far. 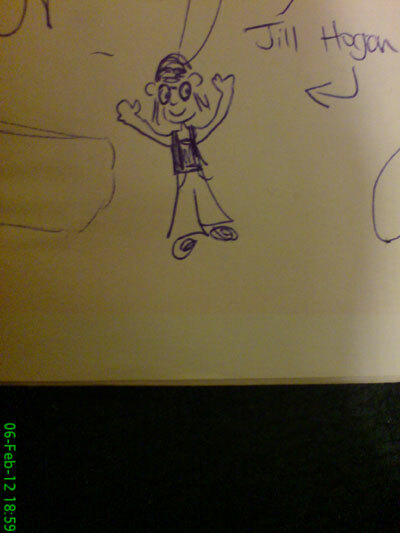 My self-portrait, in which I seemed to be adopting a Hulk Hogan style pose. 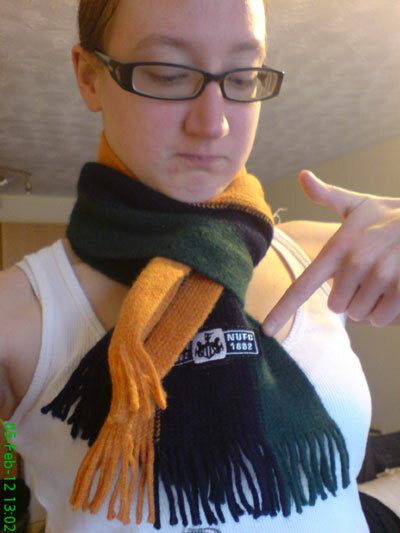 I decided to wear this retro Newcastle scarf for the match today. It ended up being lucky, as we beat Aston Villa 2-1 with goals from Ba and new signing Cisse on their return from international duty. Since I've been focusing on cardio at the gym during the week, this morning I decided to put more effort into weights. 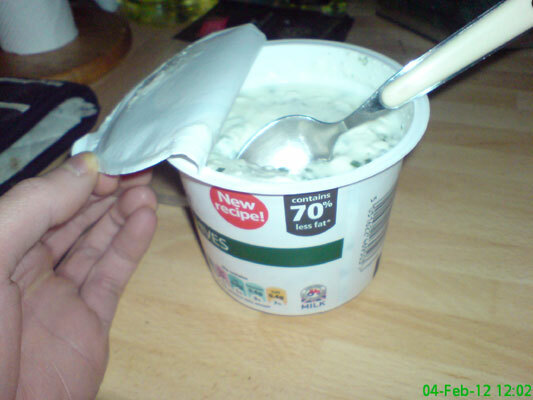 In desperate need of a protein boost afterwards, I turned to cottage cheese. I don't recall ever eating this before (though there's every chance my mam is reading this saying "YES YOU HAVE!") but this low fat version with chive & onion isn't too horrendous. 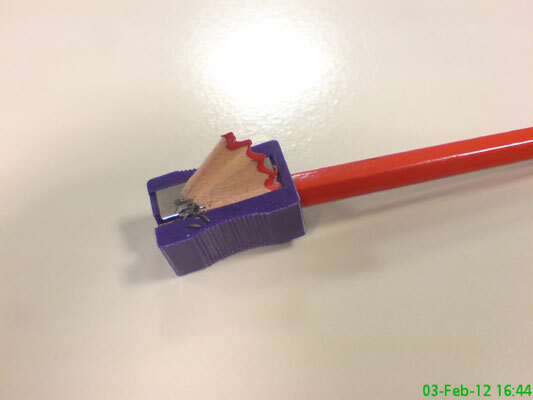 Sharpening my pencil at work. I like writing in pencil, it feels nice. Not a bad effort so far - hopefully I'll get the rest tomorrow. 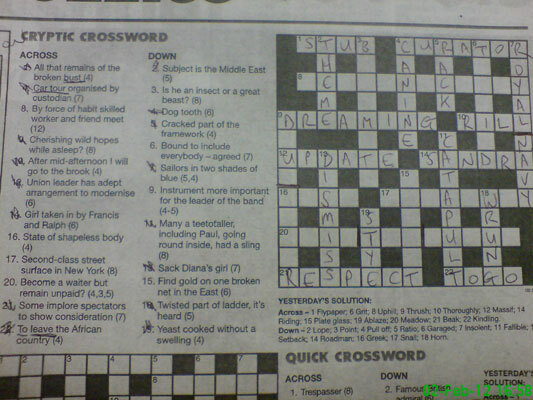 The bits I've underlined in a few of the clues were where I was trying to explain how they worked to Nicola, to no avail. 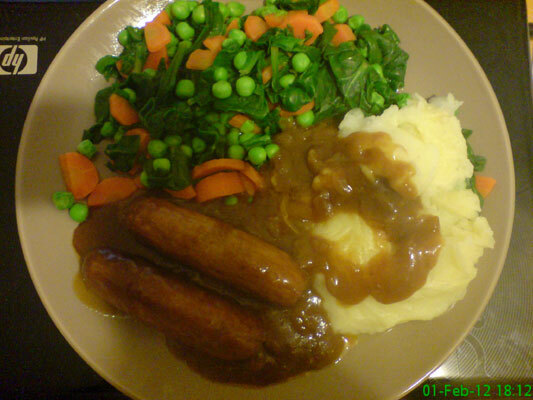 Tonight's tea was sausage, mash, spinach, carrot & peas. I pretty much inhaled it, I was so hungry. 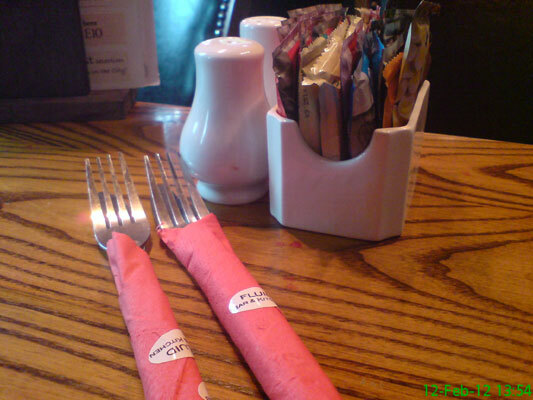 Oh, and the plate is balancing on my laptop for the photo - the table isn't HP branded..